Rajasthan is also referred as “Land of Kings” is located on the north western part of the country. It is the largest State of India by area. It shares its border by Haryana, Punjab, Uttar Pradesh, Gujarat & Madhya Pradesh states. According to the data recorded by census 2011, the average literacy rate of this state is 67.66 %. There are large numbers of colleges and universities situated in Rajasthan which offer quality education in the field of management. 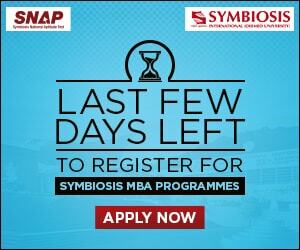 Through this article, students can check the list of Top MBA Colleges in Rajasthan 2019. At sarvgyan.com, we are providing a list of top MBA colleges in Rajasthan for the session 2019-20. Here we have included top management colleges such as Indian Institute of Management (IIM), Malaviya National Institute of Technology (MNIT) & many others. This list has been rated by various factors which are important in terms of education. The colleges have been rated on national importance, quality of education, college affiliation & approval, infrastructure & facilities provided by colleges, placement reports, faculty ratio, etc. Admission in management courses is done through entrance tests organized at national or university level. For admission in IIM, it is necessary to qualify CAT exam. Through CUCET exam, students can get admission in Central University of Rajasthan. 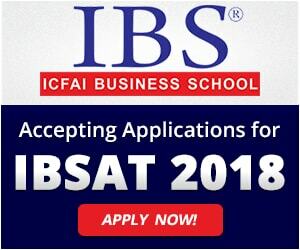 Besides these exams, candidates can also apply through MAT (Management Aptitude Test), XAT (Xavier Aptitude Test) and CMAT (Common Management Admission Test). There are various specializations offered in MBA programme. Some top MBA specializations are Human Resource Management, International Business, Information Technology, Marketing, Supply Chain Management and Logistics. 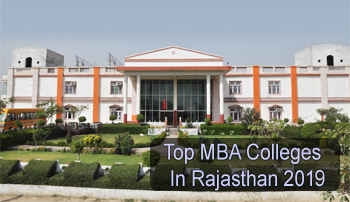 If you have any other queries about Top MBA Colleges in Rajasthan 2019, you may leave your queries below in the comment box.